Witnesses detained Henrry Gonzalez-Thomas, 18, after he attacked a woman, deputies said. 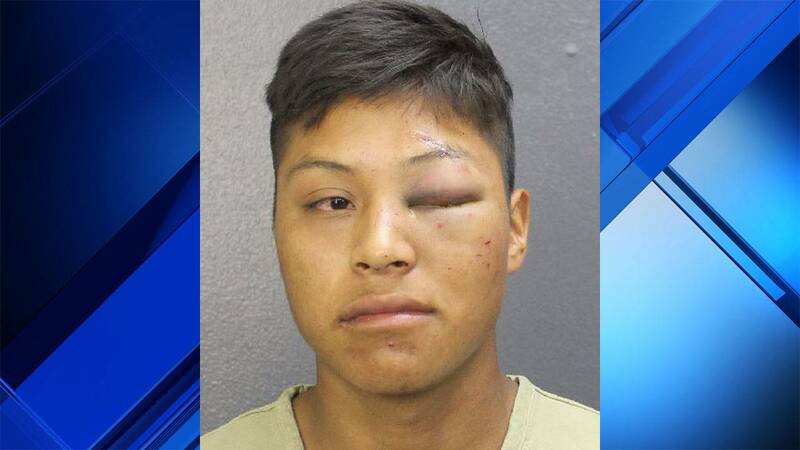 DEERFIELD BEACH, Fla. - A man was arrested Sunday after police said he attacked a woman outside a Deerfield Beach nightclub. Henrry Gonzalez-Thomas, 18, faces charges of sexual assault and drug possession. According to the arrest report, Gonzalez-Thomas assumed the woman was a prostitute and approached her outside the El Reventon nightclub in the 800 block of Sample Road. He repeatedly asked the woman "How much to get with you?" and "How much?" The woman repeatedly told Gonzalez-Thomas that she was not a prostitute and attempted to leave. Gonzalez-Thomas punched the woman in the face, breaking the skin above her right eyebrow. Gonzalez Thomas pulled the woman's hair, forced her to the ground and attempted to pull up her dress. The woman fought back, striking Gonzalez-Thomas across the face with her mobile phone and kicking him. Gonzalez-Thomas choked the woman, causing bruises around the woman's neck. People nearby intervened and Gonzalez-Thomas fled the scene, but bystanders were able to detain him a few blocks away. After his arrest, deputies found a bag of cocaine in Gonzalez-Thomas' shirt pocket. Gonzalez-Thomas is currently being held on $11,000 bond at Broward County's Main Jail in Fort Lauderdale.